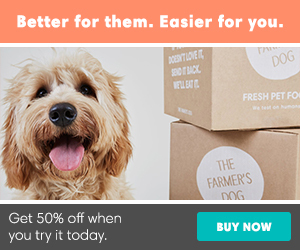 How You and Your Dog Can Get In Great Shape - Petpav - Your Online Magazine for All Things Pet! We love our dogs for so many reasons. They are great companions, our first friendly face to meet us at the door, and our best friend. Dogs are also excellent at keeping us in good shape and really benefit from the exercise. It’s important to have a fitness program to keep both you and your dog (s) healthy and happy! Most dogs love to run and can really motivate you. You can go for a two to three mile run if you and your dog have the stamina and strength. 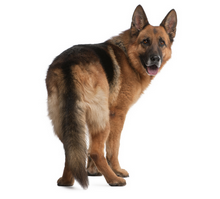 If your dog starts to lag, it probably means that it is time to turn around and head home. Also keep in mind that some breeds can run longer distance than others. Make sure you aren’t pushing yourself or your dog too far. Power walking is also a good substitute for dogs who can’t quite get the hand of jogging. You can also take your dog on a hike. This is a great workout for both of you and will stretch out your leg and hip muscles. You can walk or run and both benefit from the change of scenery. Dogs love to explore the different smells and sights of the outdoors. You might want to bring some insect repellant along for the both of you! Not all dogs are great at this, but you can try by riding your bike slowly while your dog jogs beside you (on leash of course). Again, start slowly and see if your dog likes this kind of exercise. If your dog likes to swim, there are plenty of lakes and beaches where you can both jump in, do a few laps, and play some games together. The good news is that it is low impact on your body, works all the muscles, and can cool you off on a warm day. Some tug of war – for small dogs mostly. If your dog is good about playing games of tug and likes to wrestle with you, play a few rounds of tug of war, and a little bit of wrestling and nudging each other around. If you have a big rope, play a little fetch and a little tug. Make sure to keep the activity fun and not let it escalate so your dog doesn’t get too rough. If your dog gets way too excited for a game like this, then don’t do it. Also, make sure your dog knows that this game is something you two do and not something he can do with everyone. Tread lightly with this one, but it should work well. The list is of exercise opportunities are endless! So, why not get the two of you in shape at the same time. You will both benefit by the work out, the bonding time and will get a good night sleep!